A bunch of us went to the Sandia Casino for their $5 brunch. We had to wait in line but it was worth it. Lots of good food. I had to get a players card to get admitted for lunch and then just had to use up the $25 they give you with the card. I didn’t win anything using the card but added another $15 and walked out of there with $136. Not bad! I was up to $222 but didn’t walk away then as I knew I should. Up early and over to the balloon field. I woke up early and decided to go across the street to the balloon launching field to see the balloons off. It is amazing how many people are there at 6:00am. The place was packed. 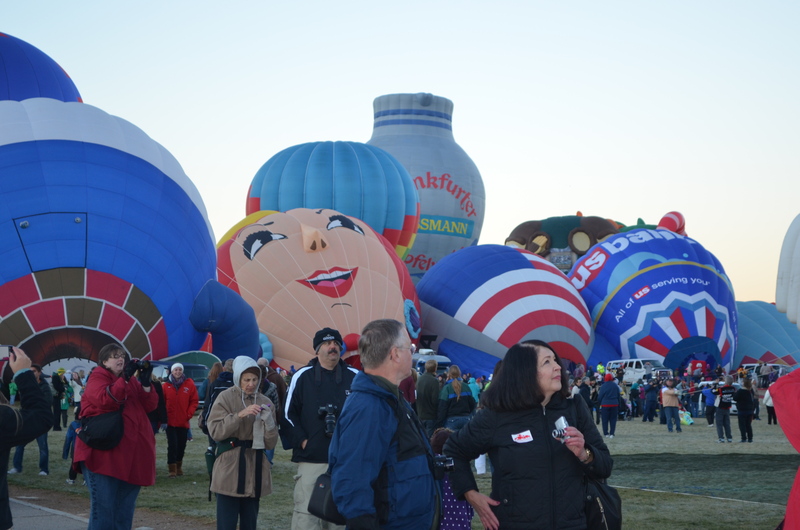 This group of balloons is know as the dawn patrol. 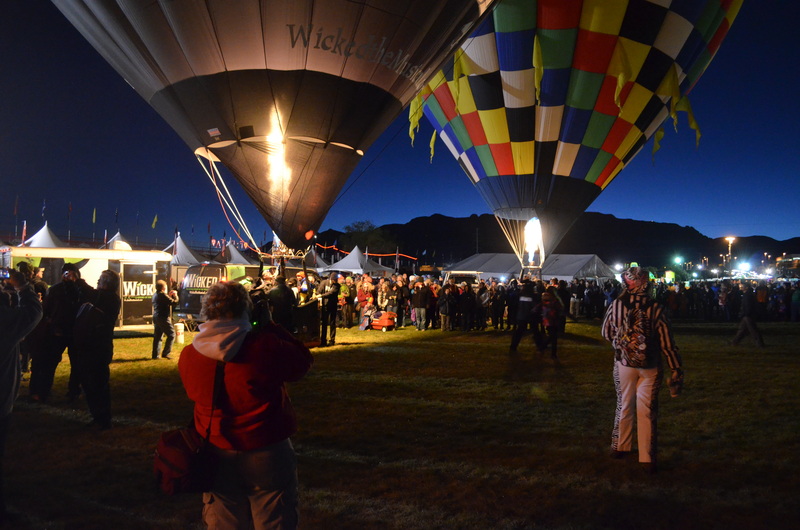 They are the first to go up in the morning an they test the winds for the remainder of the balloons. 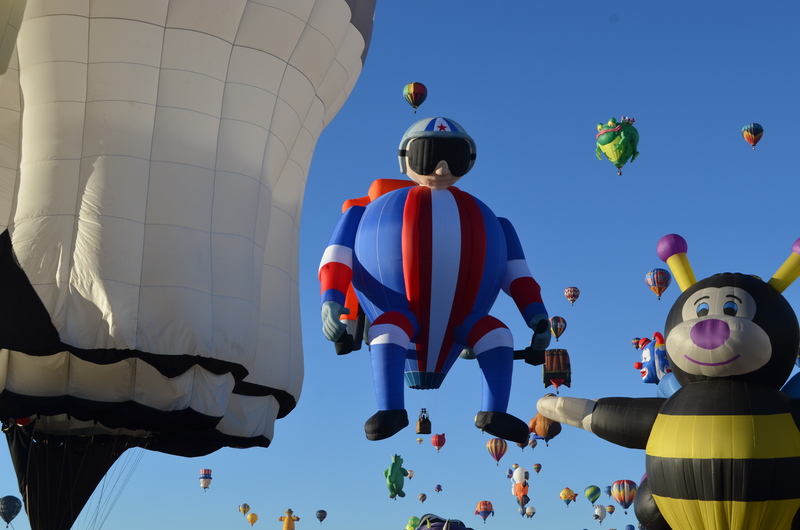 The lady dressed in the referee suit is actually the one that directs the balloons when they launch. She tells them when they can take off and keeps the crowd back from the balloon. 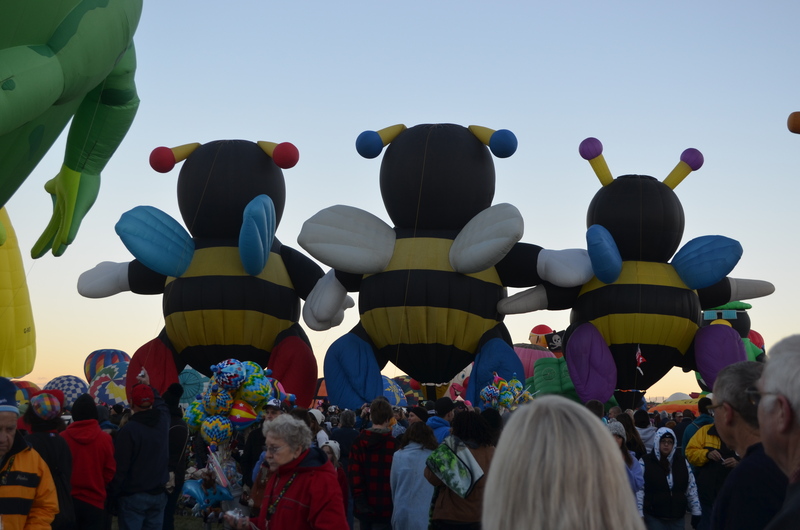 Then the rest of the balloons go up in the mass ascension. What a site to see! 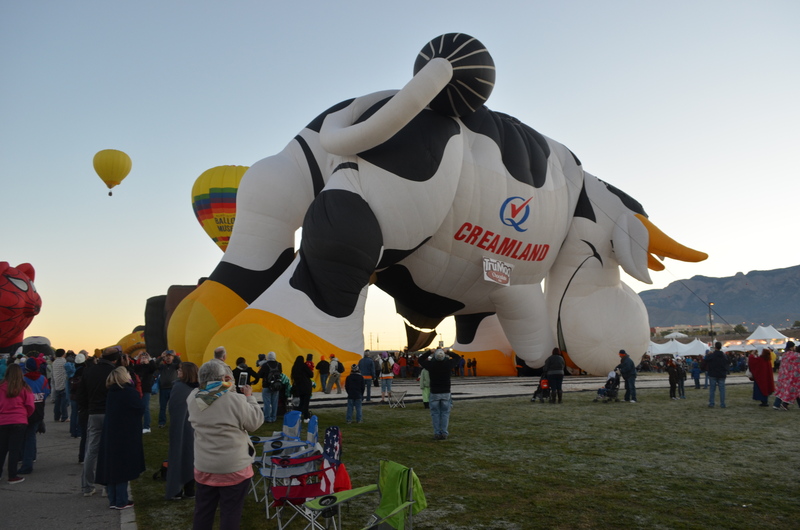 This is the Moo Cow balloon which is really large. It is just beginning to get blown up. Here it is almost completely blown up. And here it is flying. It was an utterly fantastic balloon. HA! HA! The balloons are all bunched together since there were so many of them. I felt like a kid in a candy store. Here is a couple pics of the bees. 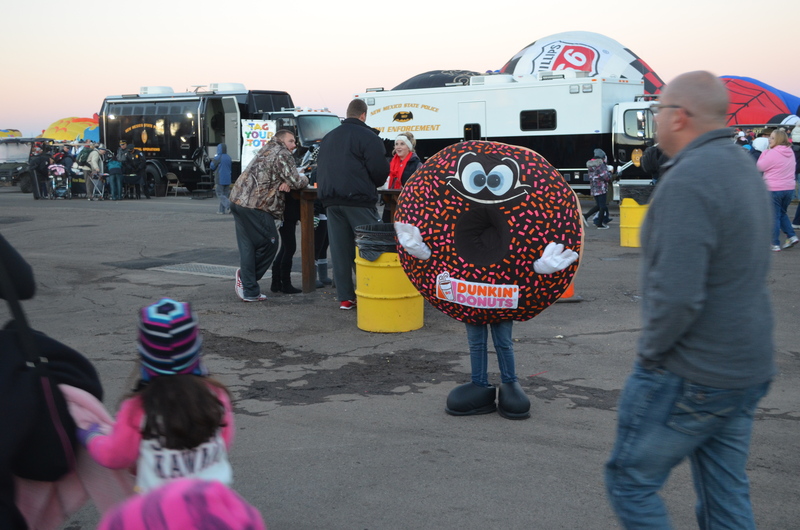 They are always crowd favorites. 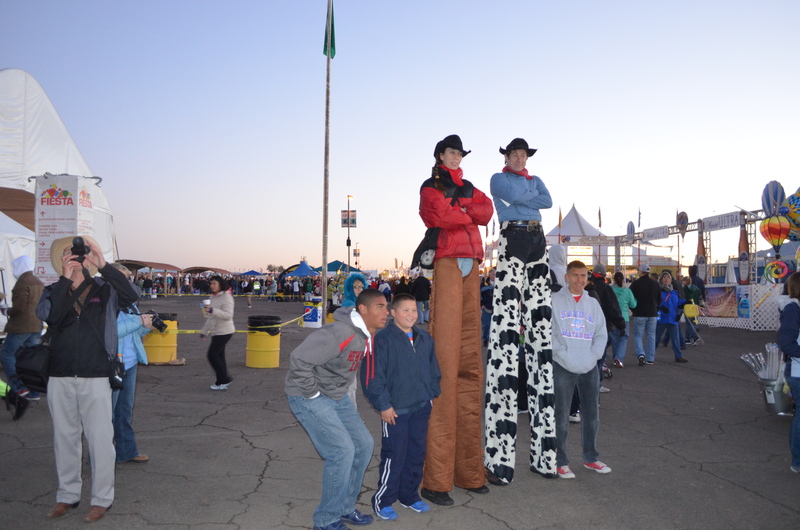 You see many different crazy people throughout the midway. 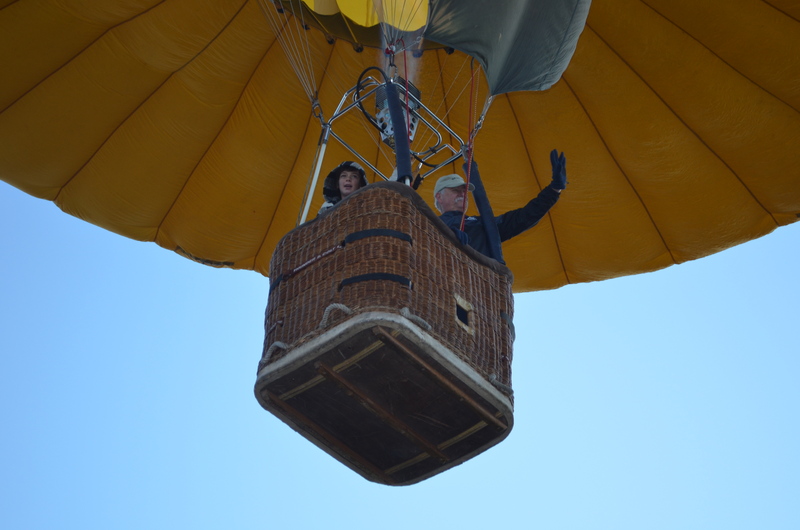 This is a pic of a couple waving to the crowd after beginning their ascent. 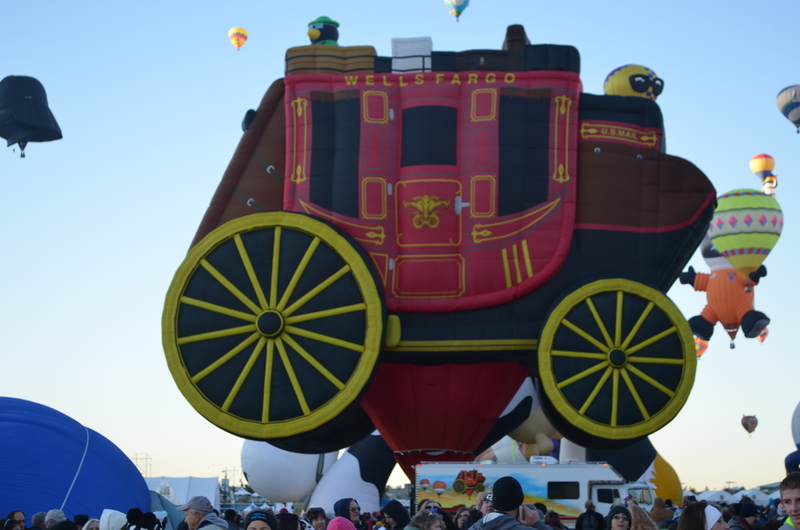 This one is for my friends at Wells Fargo Advisors. Please make lots of money for me. I really enjoyed this guy with his jet pack. Very cool! 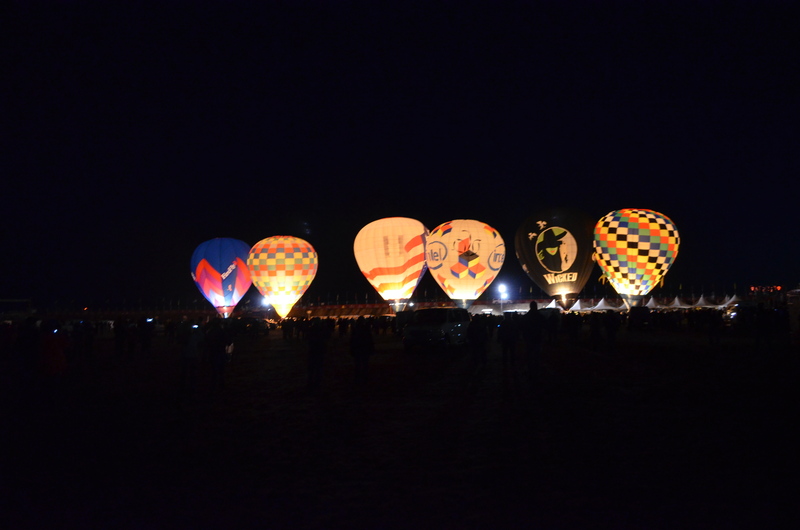 It was a great morning with all my balloon firends. 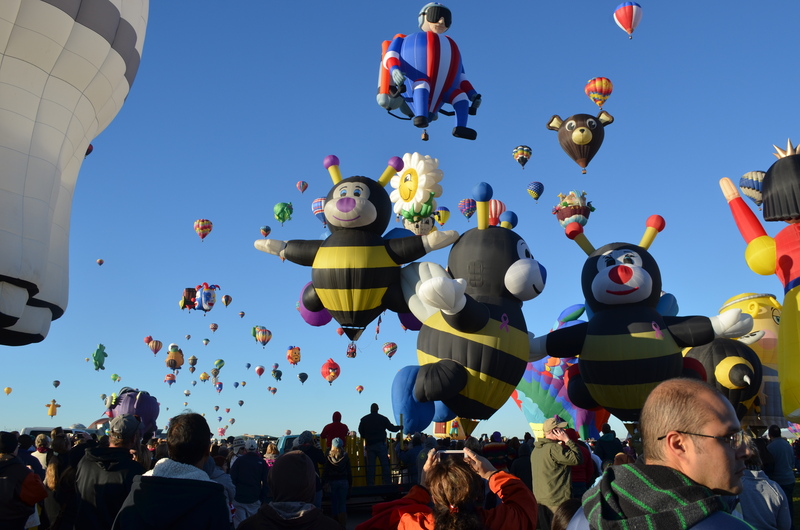 This entry was posted in Albuquerque Balloon Fiesta, My Friends, New Mexico and tagged Albuquerque, Friends by Jim Melvin. Bookmark the permalink. What a great time you had. Great photos. I felt like jumping up and going to ABQ. Thanks! 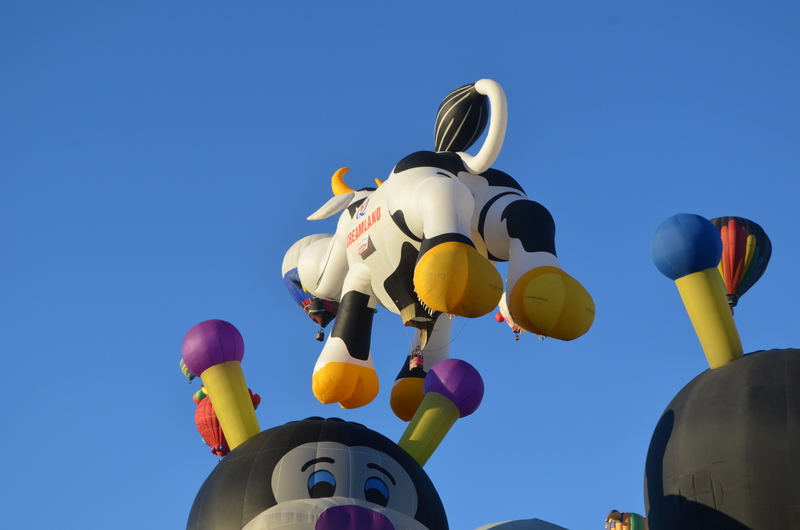 Have you gone for a balloon ride? Thanks for posting all the balloon photos, looks like sooo much fun. Love to see all the different balloons. Some of those are pretty incredible.